Samsung unveils its new range of Side by Side RS67 / RS68 refrigerators equipped with the Flex Zone system. 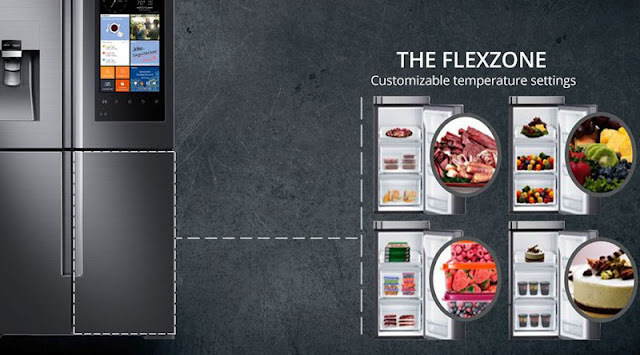 The most sophisticated model has a Flex Zone drawer that can be used as a refrigerator or freezer. The most advanced model, the RS68N8671S9, has a capacity of 643 liters: 409 liters for the refrigerator, 234 liters for the freezer. In order to offer such a volume, Samsung has, among other things, limited the maximum thickness of the walls (Space max system). 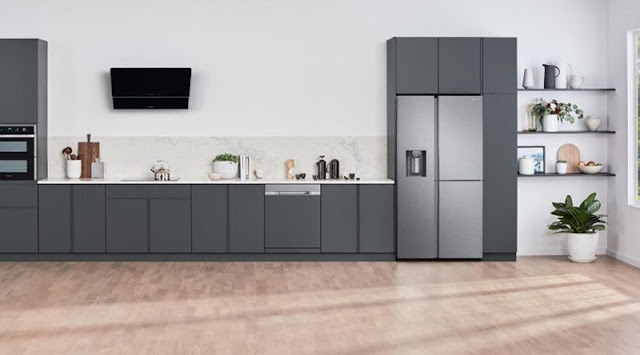 This refrigerator which is placed among the appliances of energy class A ++ also includes a particular compartment that can be used either as a refrigerator (the temperature will exceed 0° C) or as a freezer (the temperature will be below 0° C). The purpose of this technology (called Flex Zone) is to ensure the versatility of the RS68N8671S9. If the user needs space for fresh produce such as fruits, vegetables, meat, dairy products... you may decide to set the temperature in the Flex Zone compartment above 0° C. However, if you want to store frozen products, ice cream or sorbets in large quantities, you can choose the freezing mode and pass the temperature inside the compartment under 0° C.
As novel as it may be, this technology is not unique since Haier had already deployed it on the Haier Cube Series HTF-610DM7. 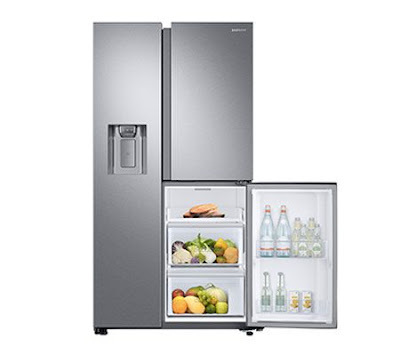 Just like on the multiport RF56J9040SR, Samsung uses No Frost cold technology for all three compartments. The latter ensures a constant and homogeneous temperature inside the refrigerator. In addition, this system has the advantage of limiting the formation of frost detrimental to the proper functioning of the device. Indeed a layer of insulating frost requires more effort to the cold circuit to maintain the temperature requested by the user. With a cold No Frost, a freezer consumes less energy and sees its extended life because compressor and evaporator are less stressed. Like the RF23M8090SG Black Caviar, the RS68N8671S9 incorporates the Metal Cooling system, a metal plate located at the bottom of the cavity of the device to quickly restore the temperature of the refrigerator after opening the door. This refrigerator is also provided with two separate cooling circuits; a technology called Twin Cooling Plus. The latter avoids mixtures of odors and bacteria between the two compartments. This system already exists on many other refrigerators. The RS68N8671S9 has a water dispenser that can also deliver ice cubes and crushed ice at the touch of a button. Note that this system is powered by a water supply, which is more restrictive than a tank installation, but nevertheless much more hygienic and practical to use. It will cost € 2,099 to equip the RS68N8671S9. According to Samsung, it must arrive in shelves during the month of May 2018.